Apr 30, 2017-Beautiful as they are, the different heritage sites in the Valley can be confounding places. While their aesthetic beauty and ambiance can be soul-stirring for locals and tourists alike, rarely are either set of visitors able to truly delve into the history and cultural significances of the chowks, temples and palaces that they are admiring. But now a new interactive map—Let’s Discover Patan Durbar—is aiming to change that by creating a map that aims to inspire users to explore the rich heritage of Kathmandu Valley in a fun way. Originally conceived as part of the educational outreach of the recently-concluded Kathmandu Triennale 2017, Let’s Discover Patan Durbar will now be available free of cost at the ticket counter at the Patan Museum starting Tuesday. 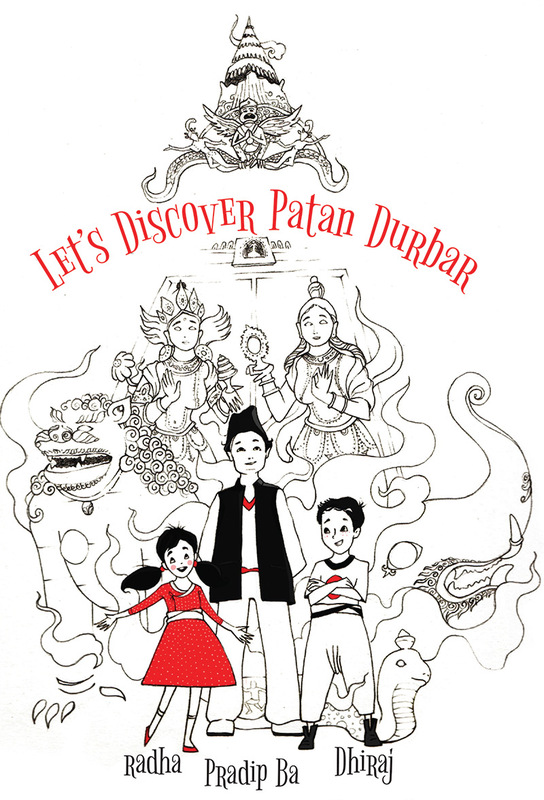 Developed specifically for children and young adults, this interactive map will come replete with treasure hunts, historical snippets, illustrations and activities that will encourage them to engage with what they are seeing, hearing and feeling at three different inner chowks—Mul Chowk, Sundari Chowk, and Bhandarkhal—of the Patan Durbar Square. From there on, the interactive map leads the children towards Mul Chowk—where they identify Taleju Bhawani, then to Sundari Chowk, before ending with various activities at the Bhandarkhal pond. At each stopover, the children are encouraged to look at structures and idols while constantly staying on the go. At Sundari Chowk, for instance, the children are required to identify the mythical Makkar at the traditional waterspout, a fun exercise given that it is hidden from plain sight. Let’s Explore Patan Durbar, was created through a collaboration between artists, Shrijanalaya, the Kathmandu Valley Preservation Trust and the Patan Museum. Available in both English and Nepali, the project has been conceived as a ‘trial-run’ that can be replicated in other heritage sites of the Valley as well. According to Suresh Lakhe of the Patan Museum, the map will help make children and young adults aware of the tangible and intangible heritages that surround them, and that the museum is eagerly awaiting feedback to see if the map can be expanded further to include the entire Durbar Square. “We hope that the information that is not readily available at first glance will be accessible for all. We are hoping this will revolutionise not just their experience at the museum, but also be a stepping stone in ensuring that the future generation remains intrigued by and engaged with their history,” he said.